Gain immediate insight into your data by automatically transforming your spreadsheets and databases into interactive dashboards. 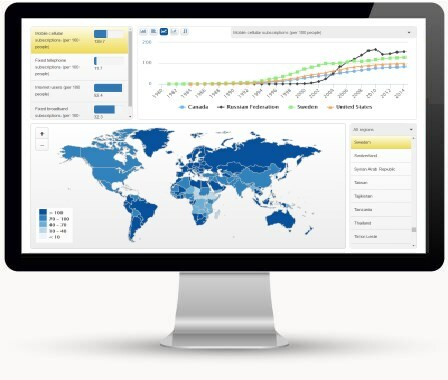 Visualize your data within minutes with StatPlanet Cloud and our open-source, Excel-based Data Manager. Users include Global 500 companies such as eBay, General Electric and Samsung, intergovernmental organizations such as OECD, the European Commission and the World Bank, and research institutions and government agencies in over 50 countries. "Wow. StatPlanet is an incredibly powerful dataviz tool. Choose an indicator, a time range & press play"